Already as early as 1946, DAM introduced syntethic monofilament fishing line on the European market under the brand name Damyl. In the years after that, Damyl would become synonym for fishing line in Europe. 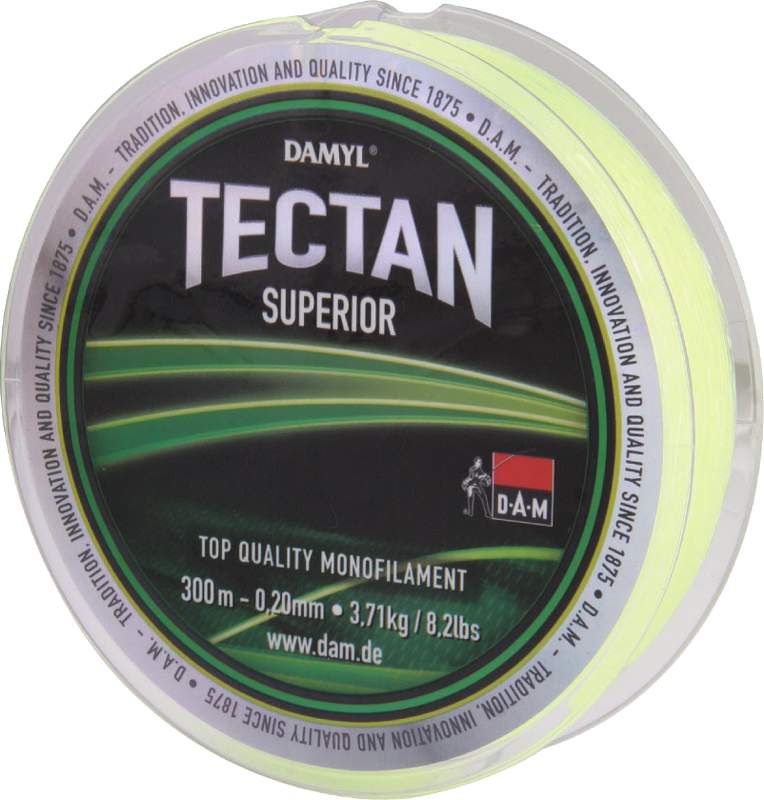 Thanks to its unmatched characteristics that make it such a fantastic fishing line, Tectan is probably the most legendary fishing lines in the Damyl family. 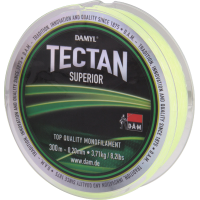 Literally millions of anglers all over the world have booked great results over the many years that Tectan is present in the market. The line therefore has helped setting numerous new personal fishing records! Now, almost 70 years after the first Damyl line was introduced, DAM brings a brand new Tectan version that offers a higher breaking strength, less memory, and a splendit abrasion resistance. The proven special UV-protective treatment as well as the low visibility yellow-green color that are so characteristic for Tectan, have been continued in the new Tectan Superior. Thanks to the smooth surface of the monofilament, knots will pull very tight adcompact, and the line glides through the water effortlessly. The Tectan Superior series consists of a main line for reels, special reinforced ultra-strong hooklink, and 100% fluorcarbon. There is a Tectan line for any type of angling!